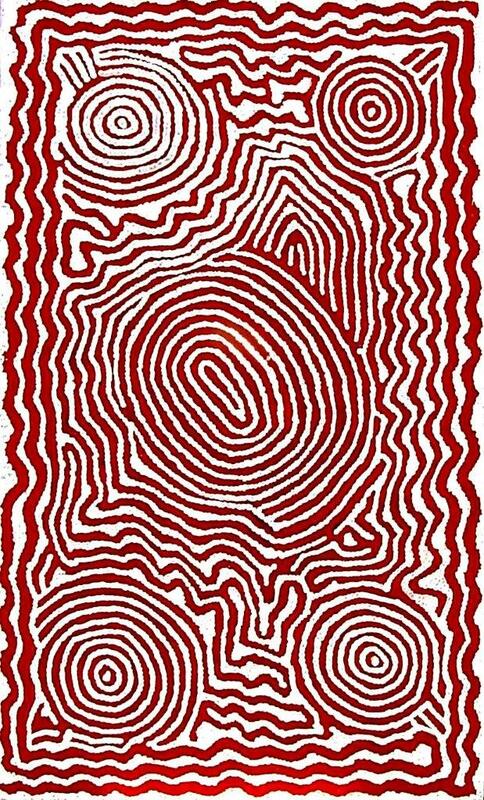 Barney Campbell Tjakamar ra (1928-2007) the old Masters and a Senior Aboriginal Law man , was one the first few involved with the Aboriginal art movement in the 70's exhibiting throughout Australia, Europe and Asia. 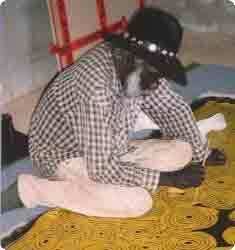 Biography p.345 Australian Aboriginal Artists dictionary of biographies . Barney Campbell work is represented in National Galleries and major c orporate collection in Australia and throughout the world such as Art Gallery of South Australia, Queensland Art Gallery , National Gallery of Australia, Museum and Art Gallery of the Northern Territory, Art Bank, Australian Art Gallery, National Gallery of Victoria, Gallery of Victoria , Victorian Art Centre, Art Gallery of Western Australia, Anthropology Art Museum in Perth, Homes a Court Collection, Aboriginal Desert Art Gallery Alice Springs, Jinta Desert Art Gallery, Aboriginal Galleries of Australia, Aboriginal Desert Art Gallery. Barney Campbell Collaboration painting 'Kintore Men' Sotheby's estimate $40,000-$60,000 sold. A n important Australian artist, b orn in the area of Karrkurritinytja Lake Macdonald Western Desert, Barney Campbell Tjakamar ra (1928-2007) was the old Masters and a Senior Aboriginal Law man , one the first few involved with the Aboriginal art movement in the 70's. 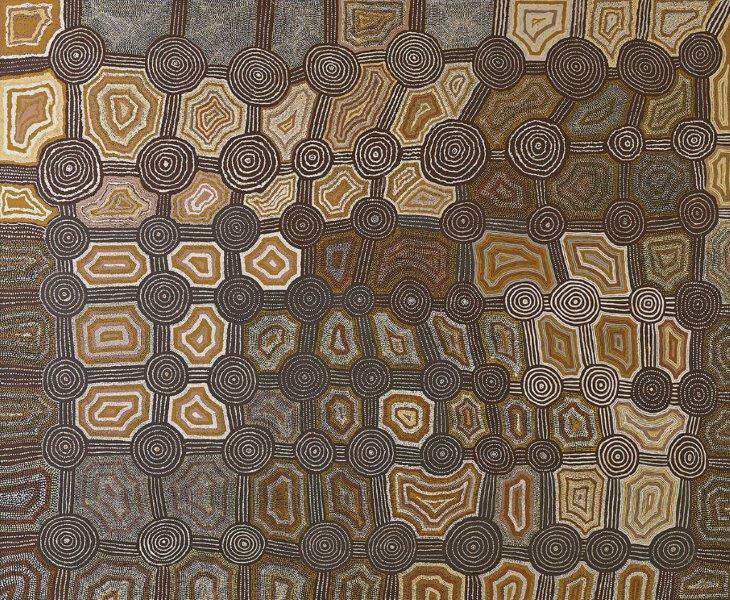 Papunya Tula artist cooperative was formed in 1972 owned and operated by Aboriginal people from the Western Desert of Australia. 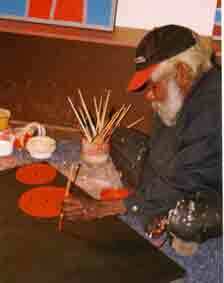 Barney Campbell Biography page 345 Australian Aboriginal Artists dictionary of biographies . Barney Campbell Tingari Cycle paintings, the Dreaming stories are usually depicted in a dramatic juxtaposition of colour. Corporate and private collection in Australia and throughout the world. 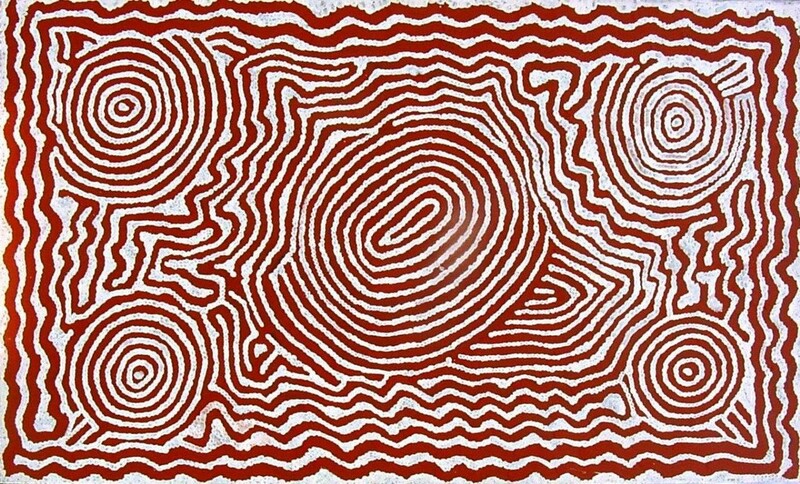 1993, Tjukurrpa Desert Dreamings, Aboriginal Art from Central Australia (1971-1993), exhibition cat., Art Gallery of Western Australia, Perth. Tingari cycle' is from around Lake Macdonald where he was born, in a dramatic juxtaposition of colour. The painting has the physical presence of the much contemporary work of art. It is inspiring work painted with accuracy of intricate details and subtle shades of colour. 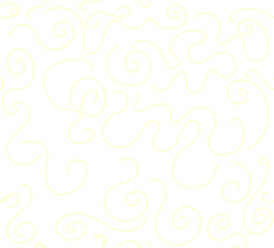 The artist attained almost three dimensional effect, as the image seems to float in the air and moves with the viewer’s eyes. Framed in quality contemporary gold-leaf timber frame with white timber board showcasing the state-of-the-art expression. Shipping worldwide usually dispatched within 24 hours delivery in 3-5 business days or Pick Up from Galeria Aniela. Whether you are a first time buyer, an enthusiastic collector or an astute investor, our people focused approach ensures an enjoyable and rewarding experience.